Unlike other days, today was cloudy, with a nice temperature. A perfect weather to enjoy a square like Pedro de Valdivia Square, located in the intersection between the avenue with the same name and Bilbao avenue. 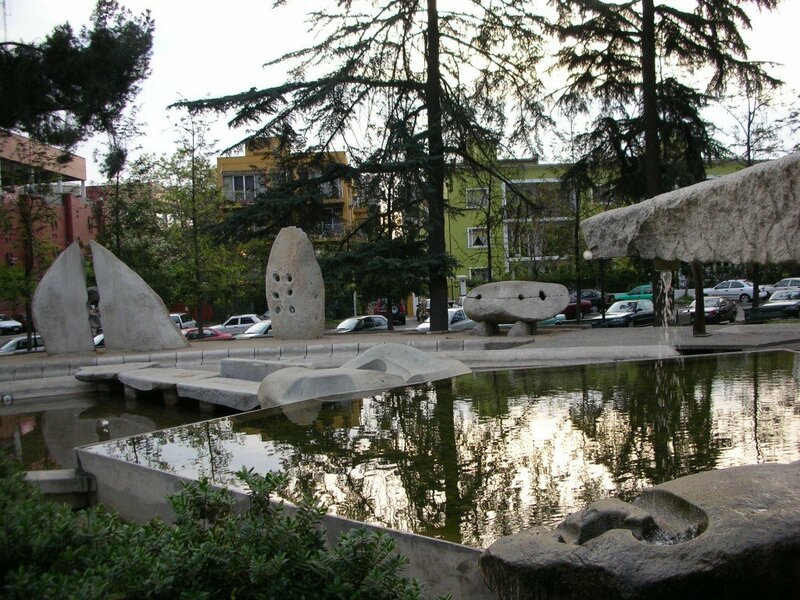 The "sensually pierced rocks" (as a tourist guide calls them) are the work of Francisco Gazitúa (1944). That looks like a lovely little spot. I really like the stone together with the water. Well done! acaheiI came to your page by chance and really liked your work...it's amazing, man!! I am an artist too and I know how to recognize a great work...congratulations! !